A female Henry V is apparently not new. 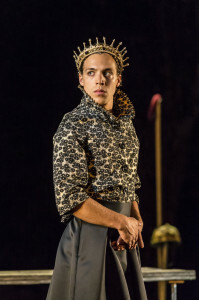 During WW1, the Regent’s Park programme informs us, the part was taken by `the fifteen year old Fabia Drake as a diminutive Henry in baggy chain mail.’ One hundred years later, on the eve of the Chilcot Report, Michelle Terry plays Shakespeare’s martial `hero’ as a female monarch, more Elizabeth I than the last woman to lead England into war, namely Margaret Thatcher. Terry makes the role her own, a stocky figure in chic check shorts and suit who speaks with commanding clarity: a no nonsense, competent leader whose legitimacy for starting her campaign in France (vis Iraq!) comes in the rueful legalistic report of David Sibley’s civil servant type Archbishop of Canterbury. 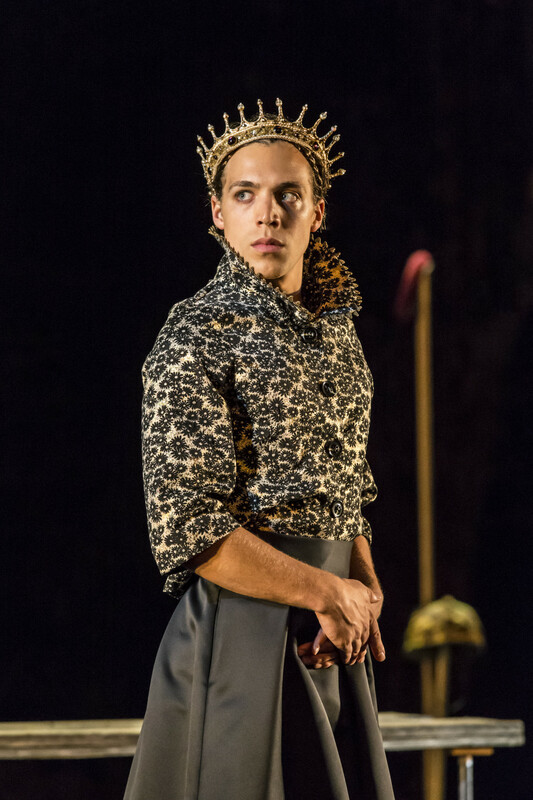 Terry’s is an appealing portrayal if without the tentative shadings Alex Hassell brought to his RSC warrior king when the `wild boy’ of Cheapside could be seen physically growing into the role of commander-in-chief and Greg Doran soaked his production in a regretful WW1 anti-heroism. Director Robert Hastie, for all his casting innovations, cuts a fairly traditional line. 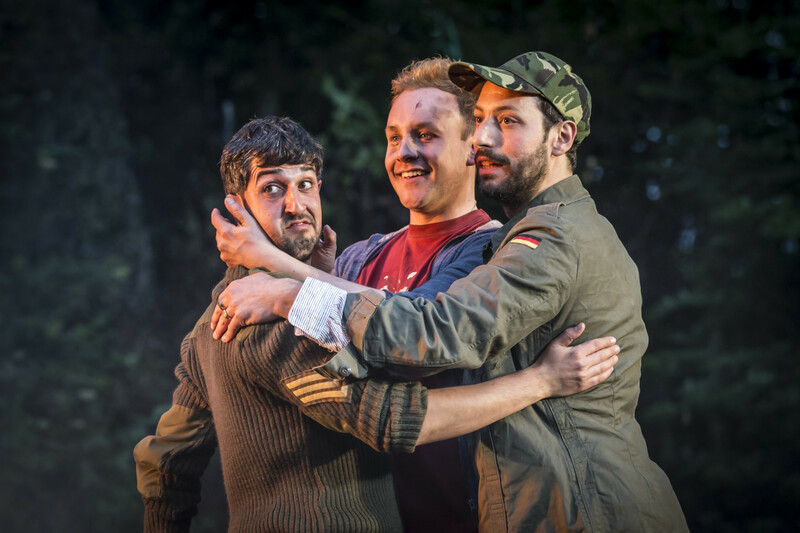 The French are still fops, the English – notwithstanding Pistol, Nym and Bardolph, rascals as ever – a `band of brothers’, scared but jolly good sorts. Decked out in modern SAS battle fatigues, Hastie’s brave company (Regent’s Park Open Air Theatre can be harsh in inclement weather competing with the thump- thump from a nearby party) would seem to give an immediate connection to recent history on Anna Fleischle’s bare grilled stage. 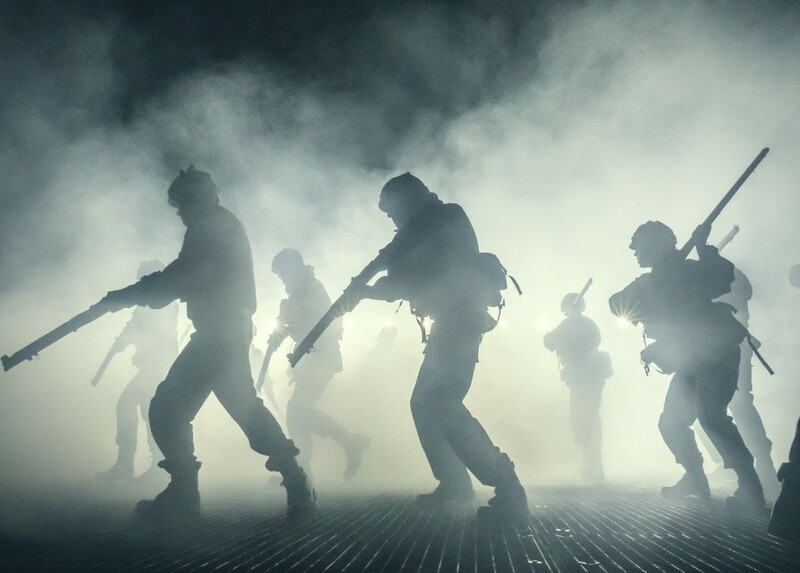 Direct allusions to Chilcot are however elusive. But Hastie’s squaddie dominated production is a sharp reminder of a leader’s responsibility when waging war and the Blair/Bush resort to self-righteous religious `right’ to validate their war-mongering – as does our battle heroine here. Hastie’s cross-casting extends also to a female Chorus (Charlotte Cornwell), female captains for Fluellen and MacMorris and Ben Wiggins, a male Katherine, suitably reserved and spikey. 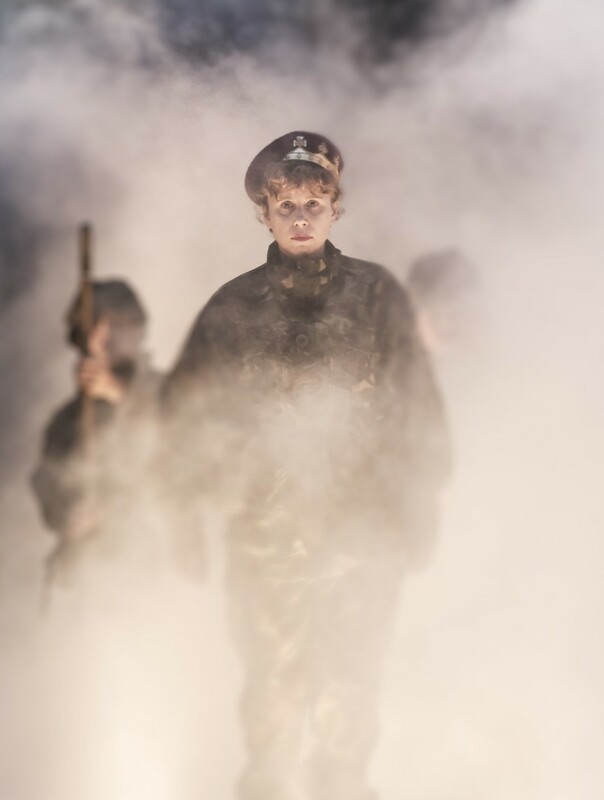 Visually arresting, as befits an outdoor production, Hastie’s smoke and thunder production is absorbing enough whilst leaving audiences to draw their own conclusions and parallels – unlike Phyllida Lloyd’s all female History productions firmly reframed to awaken new contexts.